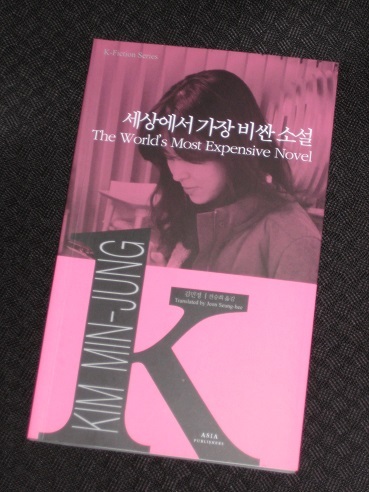 Kim Min-jung’s The World’s Most Expensive Novel (translated by Jeon Seung-hee) is a rather strange piece, consisting of the musings of a writer on her work and her (floundering) career. After winning a short-story prize, she decided to commit herself to writing, comparing herself in her acceptance speech to a company worker who would work hard to make a success of her ‘job’. However, several years on, she finds herself at home with no commissions in sight while her mother waits in the next room for the sound of the printer (proof, she thinks, that her daughter is doing some real work). To make matters worse, the writer’s brother, having founded a successful investment fund, is worth millions, while she has calculated her pay so far to 5oo won (5c) per letter. Whether I wrote a piece of fiction or not, whether it was good or bad, nobody noticed. If my mom hadn’t asked whether I finished a piece or not, there was no way to distinguish whether the writing that was printed on the paper was my diary or a work of fiction. The pieces of writing that had not been published in literary magazines or books were both literature and not. They did exist, but they might as well not exist. There’s a large dose of irony in The World’s Most Expensive Novel, most evident in the way the writer uses a theme of product placement throughout the story, describing her Samsung notebook in great detail and praising the refreshing Lotte tangerine juice she sips while writing. However, while the story does improve on a reread, I still (ironically enough) don’t quite buy it, and the slightly over-literal translation does the tone of the story no favours. While Kim does make some interesting comments on the value, and worth, of literature in an age of commodities, it’s all a little heavy-handed. Still, she could always go into advertising. I wasn’t sure whether a life like that could be called life, not just subsistence or survival. I had become a sort of utensil, like a spoon. I loaded the baby precariously onto my swaying body and carried it from day to night, from one day to the next. Resigned to her sad existence, the woman is forced to endure without support – until, that is, she encounters Danny. A slightly longer story than some in the series, Danny cleverly uses a spec-fic idea to examine a very modern phenomenon. While the interest is initially in the robot, the true focus of the story is on the grandmother, a woman burdened with all the trouble of a young mother but without the youthful energy to cope. While Minu’s mother might seem a little selfish pushing her child off on her own mum, there is a sub-plot that helps explain it a little, with incidents at child-care centres leading people to place their trust in family members instead. 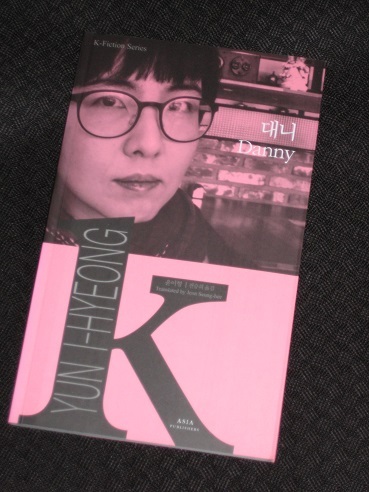 Much Korean fiction looks at the plight of families struggling to keep up with the pace of modern life, but Yun uses this case study to show how the country’s elderly women are overworked by the younger generations. Here we have an old woman, a very human face of the issue, struggling with dodgy knees, incontinence and five flights of stairs because her daughter has to work. It takes an android to see the beauty in her, empathising with her self-sacrifice and recognising a kindred spirit. Sadly, this is a chance relationship that is doomed before it has really begun. Appreciate the commentary, Tony. I feel like I want to read these.